We provide blast hole and resource definition drilling and blasting services, including design, across Australia. We use state-of-the-art technology to relay real-time data on drilling operations, so you can make quick decisions around the drilling program to optimise resources effectively for every shift. We also use high precision GPS systems to significantly improve drilling precision and productivity eliminating the requirement for on-ground surveying personnel. 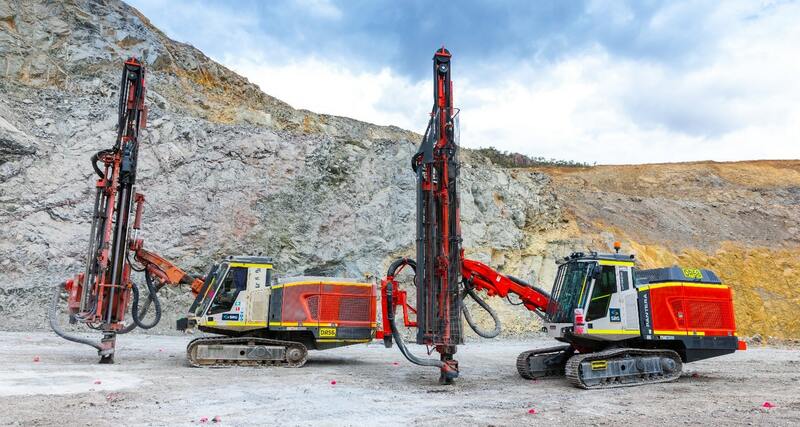 We work with our customers to implement remote controlled systems on our drilling fleet, to ensure safety to personnel by removing them from hazardous work environments. The equipment can be controlled from a safe distance, and in some circumstances multiple machines can be controlled by a single operator. SRG Global has a vast amount of experience in the Drill & Blast spectrum, we understand the importance of the quality assurance and quality control at this critical stage of the mining process. Our operational team will deliver optimal availability, ensure high utilisation and a safe environment. Understanding the need for grade control programs to be completed as per the mining schedule is always a crucial element, SRG Global’s fleet’s high availability and utilisation as well as our drilling expertise ensure our clients achieve high quality samples on time every time. SRG Global can design and implement custom solutions for our clients, and like all of our drilling services, our specialist and custom solutions conform to our industry-leading standards for safety, quality and environmental protection. SRG Global provide horizontal / depressurisation drilling to depths over 200 metres.